Shopping is topically the acquisition of goods, but it is so much more. The experience plays a huge role, and as we’ve seen with the growth of online commerce, offline (i.e. “brick-and-mortar”) has had to reconsider what value it brings to the consumer; in many ways, the goods themselves have become commoditized (identical across channels), and so it depends on the experiential value to attract sales. This is the changing face of retail. Nowadays, it is quite ordinary to consider internally: buy online and wait one week, with some uncertainty as to fit and color, or travel to the store in person to try, which requires more effort than a few clicks, but potentially obtain and use a new item immediately. In some cases, offline shopping enjoys the advantage of some social value in the process. In other words, which items are pure function and which include an experiential buying value? I mention all this because I just lived for fifteen months in Italy, a place, like much of Europe, where malls were never the standard and are still secondary to urban, organic, open-air neighborhoods where commerce is done. This is attributable mostly to the relative difference in boom periods—the U.S. being developed largely along with mass car ownership. Coming from the U.S., where we dive headfirst into new technologies, Europe is behind us when it comes to online shopping—there is still a preference to browse and purchase in-store, in part for the experience it provides: architecture, grandeur, relationships, ambiance, and a glass or two of champagne or a caffè. Online, for now, can’t replicate the service or human interaction one gets from the Neiman Marcus beauty counter, or Prada men’s shoe department. Coming back to Tampa and seeing all that has changed, it’s so clear to me that malls too must change. I know I am usually ahead of the populace, but the signs are there: malls are usually a trip unto themselves, and aren’t convenient in terms of access, parking, etc. These days we go in search of specifics, rather than browsing mindlessly, so being able to access (for example) the Apple store requires knowledge of where to park and enter in order to reach it the quickest. I have also noticed that staff in malls seem less engaged or dynamic, stock levels are lower, the assortment can’t nearly match the range of online or satisfy potential shoppers, and there is no longer a flair that used to be more apparent in places like Nordstrom or Neiman Marcus. While many retailers are struggling on a macro level—Neiman Marcus with stock management woes after launching a new software, general lack of rapid adaptability of large chains, reliance on discount channels like outlets—many are still building new stores and letting old ones die. In fact, most of the new department stores are going into urban centers, not malls. Saks Fifth Avenue recently opened a store in Downtown Miami at Brickell City Centre, and both Neiman Marcus and Nordstrom will shortly open in Manhattan, a first for both chains. If you look at the last ten years of retail development in the U.S., most “malls” (except University Town Center in Sarasota, an anomaly), have been open air faux-neighborhoods, with parking alongside storefronts and sidewalks. This is the new model of mall, though it presents many of the same access and adaptability problems as any traditional mall. Some examples include The Domain in Austin and St. Johns Town Center in Jacksonville. Miami’s Design District is an interesting case of a single retail development with blurred boundaries, where developer Craig Robins has shoehorned new boutiques and infrastructure into an existing urban grid network of streets and blocks. Dallas’ Highland Park Village is a historic example of a well-integrated urban retail center that has endured over time, no doubt thanks to the ultra high net worth of its neighbors and careful curation of retailers across price points, from Harry Winston to Vince. Tampa’s Hyde Park Village, which was nearly handed a death warrant by the construction of Saks Fifth Avenue and International Plaza around year 2000, has come back from irrelevance to present a much more interesting “shopping center” experience that is more seamless and authentic. Its owners (WS Development) have made a point not just to bring higher-end tenants, but ones new to the market, like Suitsupply, West Elm, and Sur La Table, and locally-owned ones, like London Philips and Jux-ta-pose. 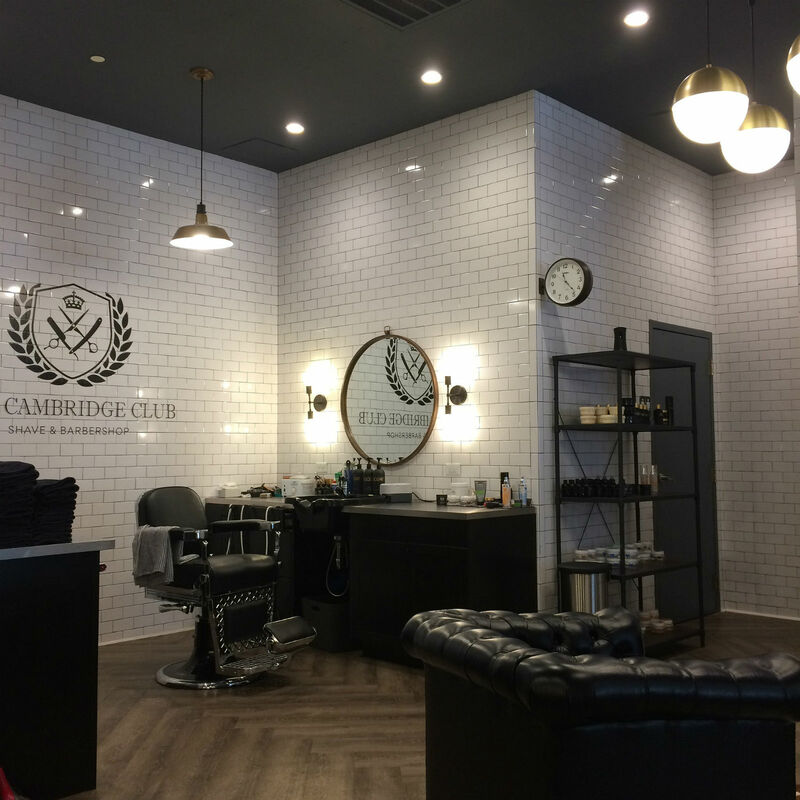 Mixed in with retail stores are interesting eateries and activities, like bartaco (Mexican), Buddy Brew (coffee & tea), Goody Goody (a diner), and even a men’s barber shop (The Cambridge Club). All under a canopy of historic oak trees and within easy walking distance of million dollar homes. I predict that as wealth, prosperity, and sophistication continue to improve in the Tampa Bay area, more focus will be on urban retail destinations, from both the supply and demand sides, and behemoths like West Shore Plaza, International Plaza, and others, will have a hard time maintaining occupancy. I tweeted the other day, after visiting Apple to retrieve my repaired computer, that premium brands looking to refresh their image and innovate their experience, like Tiffany & Co., which has been at International since its opening, should consider moving to a place like Hyde Park Village, where the overall experience is authentic, more contemporary, and appealing to people like me and my friends. Malls aren’t all facing hurdles—at least not yet. Aventura in Miami continues to attract high end brands away from Bal Harbour or in addition to, and many malls are undergoing improvements and upgrades to keep the experience interesting (King of Prussia mall in suburban Philly, for one). But the age of the enclosed, suburban and semi-suburban mall as the prevailing North American retail setup is certainly over in my view. Similarly, I don’t see online completely rendering offline obsolete. I only shop for certain things online, and am still encouraged to support the local economy before I err on the side of pure convenience. My experience working for Uncommon Finds has further solidified my belief that locally-owned small businesses in the arena of luxury can survive and do it through a mix of online and offline sales. And, they are part of the changing face of retail.